On 21 July 2018, it was a cool, but sunny, morning at our usual starting point for trips west, the Hall lay-by. 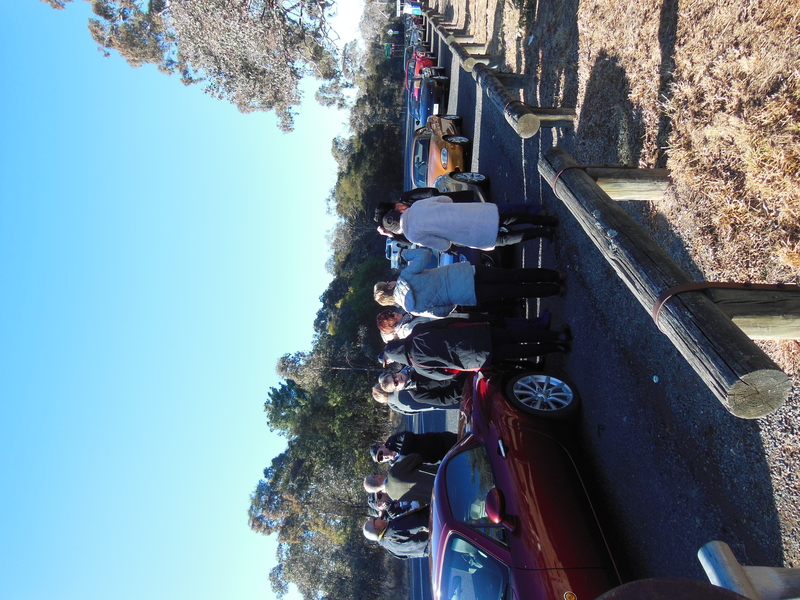 There were 20 cars so the convoy was split into two and the first group headed out to Boorowa for morning coffee. The second group was well spaced and arrived at the Superb Bakery after the first group had been served which helped the staff there. The run out was a good clear drive and the countryside was looking dry. All the farmers are praying for rain. Once all the caffeine had been consumed and many conversations had we decided to make the rest of the trip in one convoy as the road to St Clements is a back road with virtually no traffic. 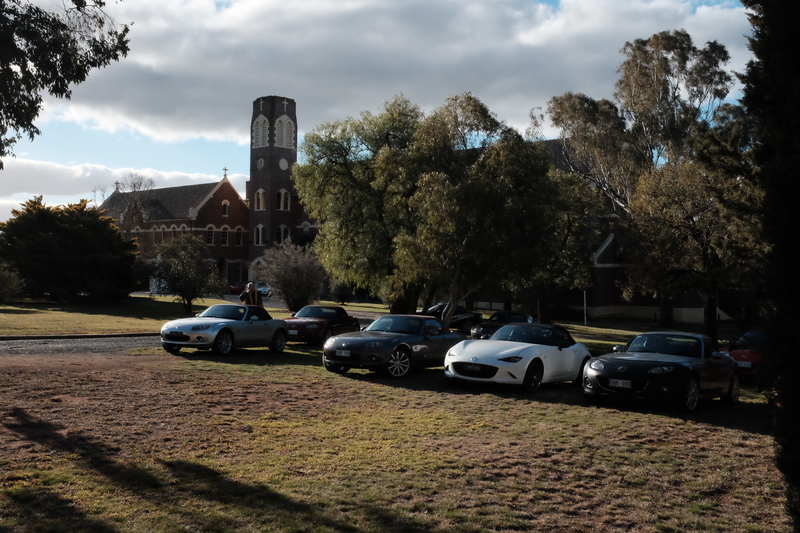 There were a few vehicles waiting to come out of properties and probably wondered if the line of MX5s would ever end. We were all greeted by the friendly staff who were excited to have us and most of the group had decided to stay the night. The tradition of hospitality to all began at Galong when Irish transportee Edward 'Ned' Ryan settled there in the late 1820's. 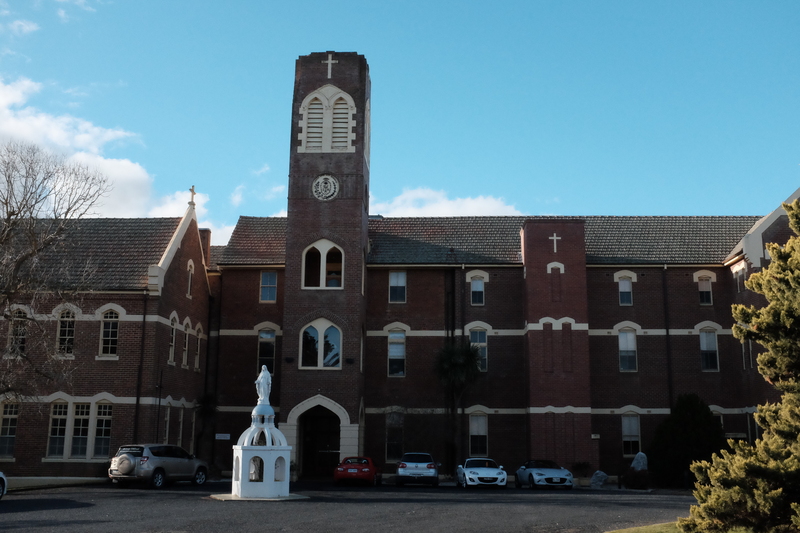 The last of the Ryans died without issue and through the will of Ned’s son John Nagle Ryan, the property was passed onto the Redemptorist Congregation who established a monastery and a juvenate named for St Clement Hofbauer (1751-1820), in 1918. 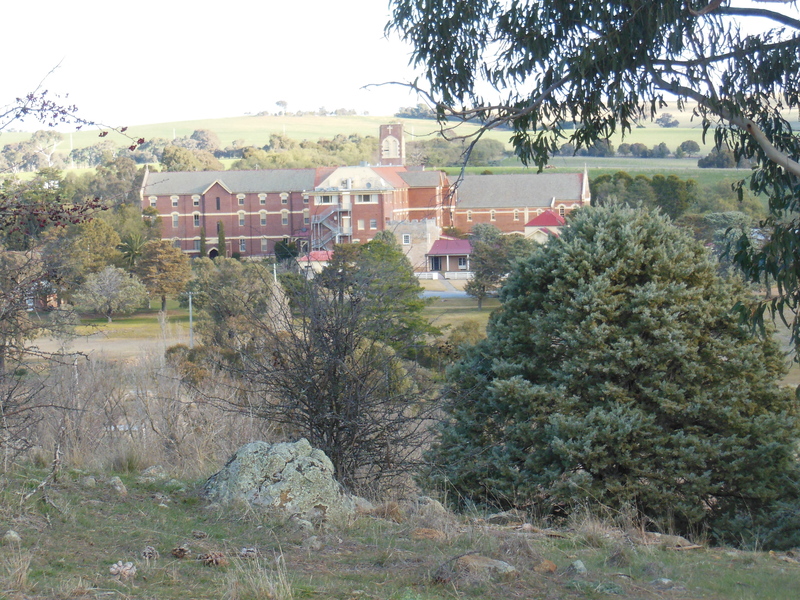 Some 2,000 young men were educated at Galong before the college closed in 1975 and a retreat house was established. The Ryan legacy includes examples of interesting architecture, some of which has survived for almost 160 years. Between 2004 and 2013 the complex underwent a series of physical and functional transformations, with improvements to the accommodation and conference facilities. 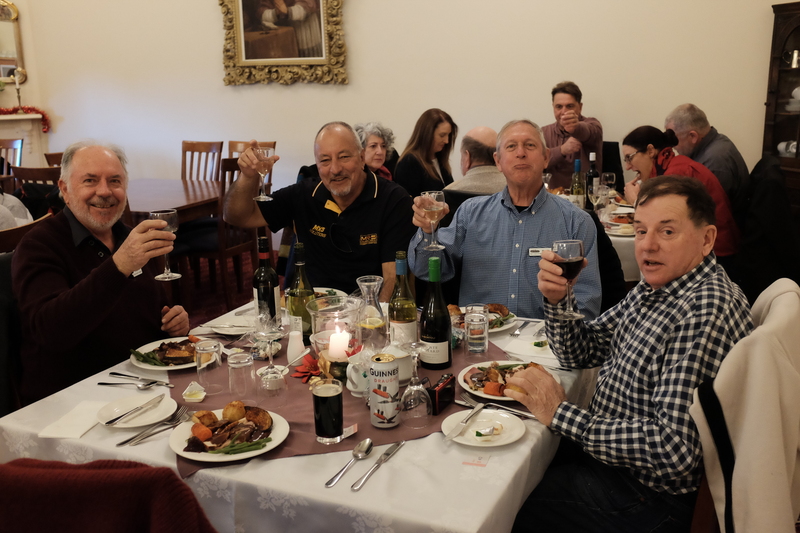 We all gathered in the function room before being called to lunch and the staff and the club organisers had set the tables in traditional Christmas style. The lunch was a traditional cooked meal with beautiful roast vegies and plum pudding and custard. 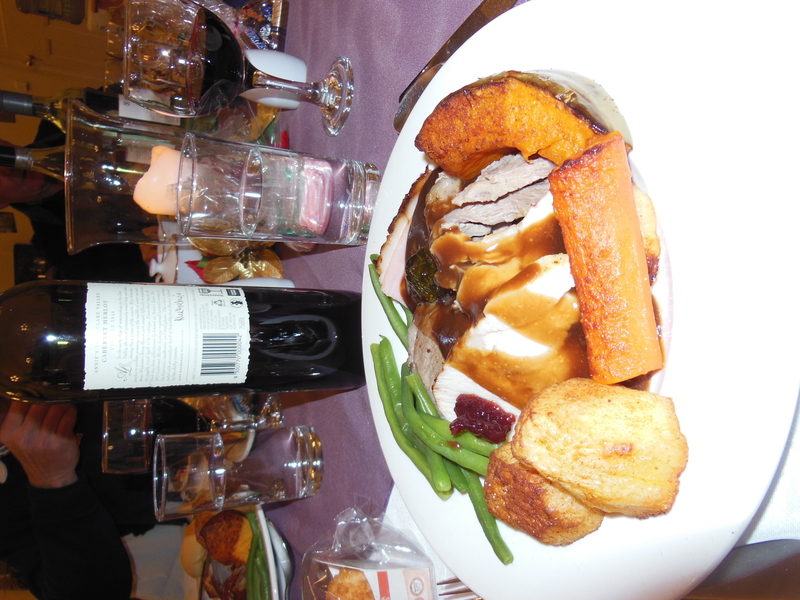 Everyone enjoyed the meal as it was all local produce, home cooked style and generous servings. 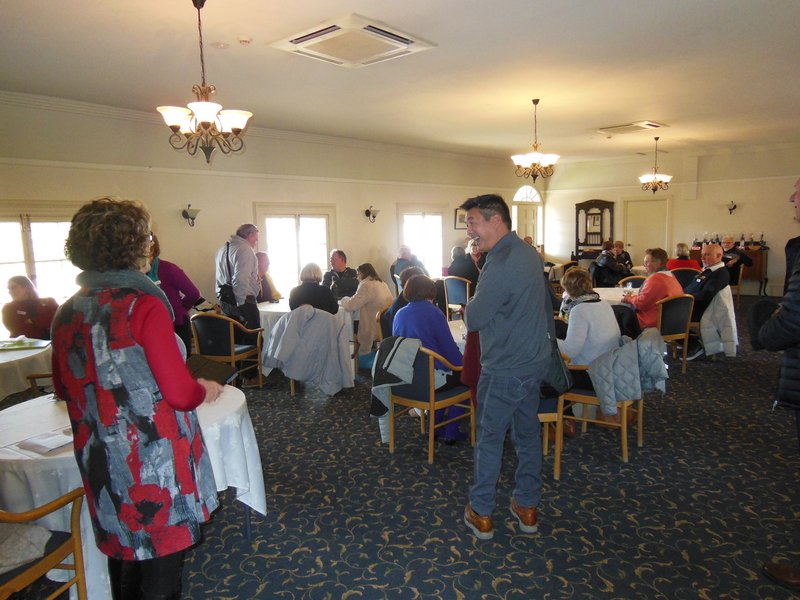 Once everyone had finished their coffee and tea we adjourned to the function room where Jane Hick organised the draw for the lucky door prizes. On completion of the formalities it was time to explore the surrounding property. Some went to the Grotto which has been built on the hill behind the Monastery buildings and others walked to the historic cemetery about a kilometre away and has graves dating back to the 1830s. 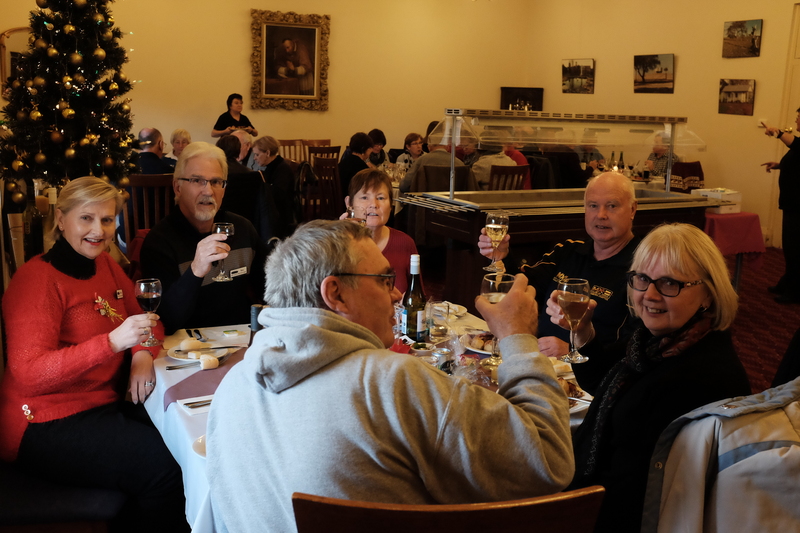 In the evening arrangements had been made for cheese and biscuits in the function room and to our surprise the staff had also prepared hot plates of finger food. 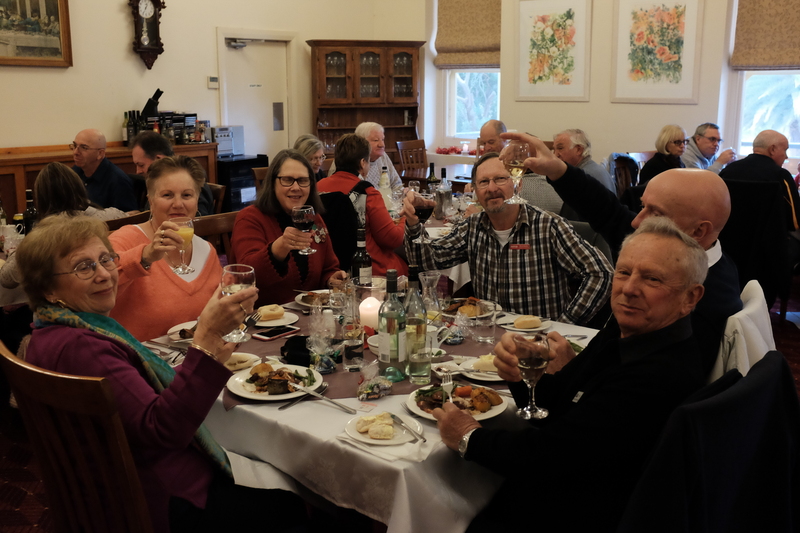 The evening passed quickly with everyone having eaten very well and a few new members thoroughly enjoyed their first outing with the club. Everyone trickled back to their rooms for the evening and had a good night’s sleep. In the morning breakfast was provided in the dining room. 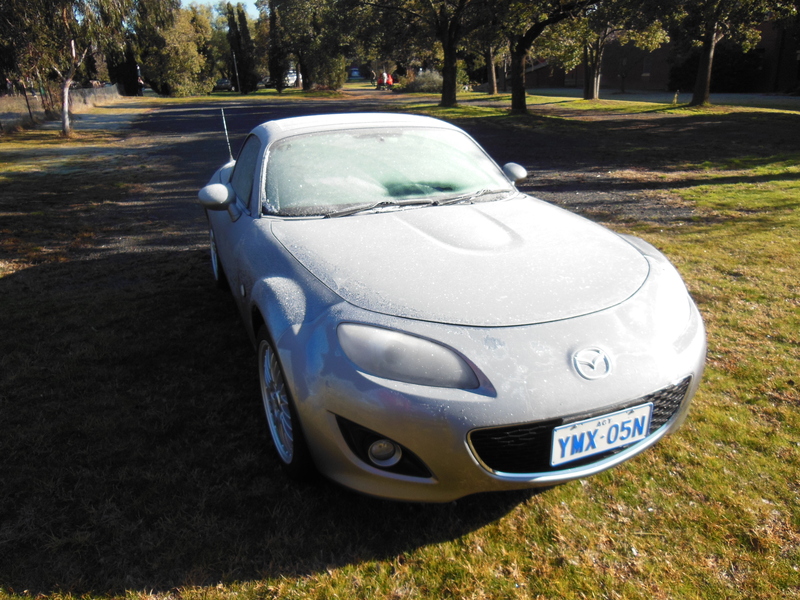 Well fed from our breakfast it was out to the cars which were all covered by a thick layer of frost and so it was start your engines put on all the defrosting heaters and move into the sun before making our way home by different routes. A great weekend and the club has booked for next year.